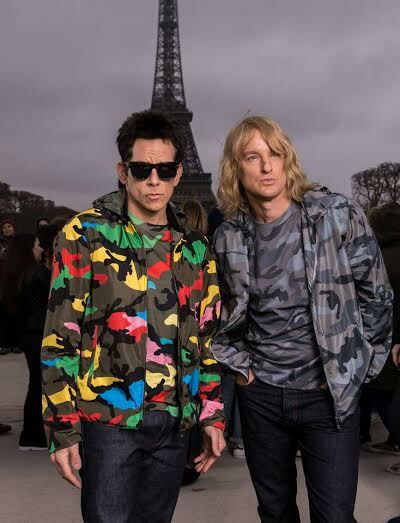 Ben Stiller is back to reprise his role as the dim-witted but good-looking model, Derek Zoolander, together with his buddy, Hansel McDonald, played by Owen Wilson, after 14 years of hiatus in the movie runway with "Zoolander 2". Paramount Pictures recently released online the very first teaser trailer of the upcoming film. The movie trailer for "Zoolander 2" starts with a voice (that pretty much sounds like Stephen Hawking) describing the creation of the universe and the complexity of man, only to be followed by Derek Zoolander (Stiller) posing the six million dollar question: "If God exists, then why did he make ugly people?" Directed by Ben Stiller, hiimself, with a screenplay written by Justin Theroux, “Zoolander 2” also stars Kristen Wiig, Penelope Cruz, Will Ferrell, Christine Taylor, and Olivia Munn. Below is the movie trailer teaser for "Zoolander 2". Enjoy!